All Promotions is proud and excited to represent Greg Norman’s Collection as the “Exclusive Distributor” in our area. Check out their amazing products by viewing the digital catalog above. Although March is the designated nutrition month, it is a subject too important to isolate to one month. Help clients and employees stay healthy all year. When you give the gift of health, everyone will thank you for it! Saint Patrick’s Day - If people are out celebrating, your organization should be there making the fun happen too. People will jump like leprechauns for these fun promotional items. Kiss me I’m Irish today! With the evolution of technology, the concept of an office has changed dramatically over the last ten years. No longer does the average “9 to 5iver” remain behind a desk all day to meet the demands of the global business community. Instead, employees of the 21st century are mobile and prepared to work from an array of places. How are your employees represented when they are working from the local coffee shop, hotel lobby, airport, car, or client’s job site? Use employee mobility to promote your brand and keep hard working employees looking their best at all times. Imprinted laptop and travel bags, polo tees, hats, badges, and pens are always favorites. However, those suggestions are only the beginning. 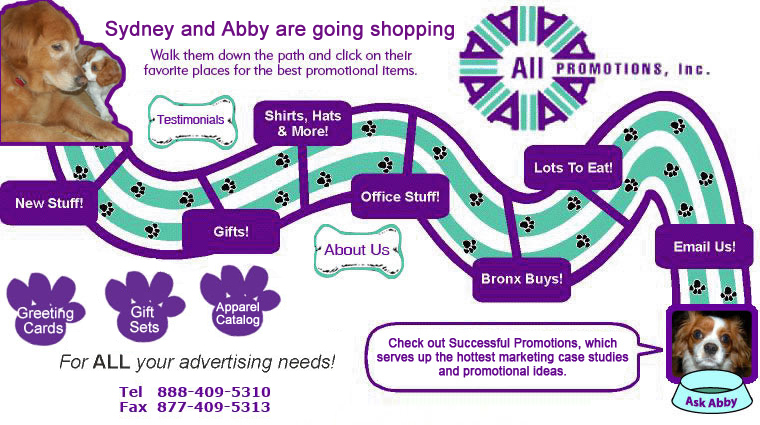 Your promotional product representative is standing by with endless options for products that will get employees noticed. Call today. Heart Rate, Pulse Rate, Monitor Watch is ideal for individuals who have lifestyle goals and those who are looking for a weight management tool that will give them personalized feedback. You can take control and decide what you want to do : lose weight, gain weight or simply maintain your shape. Take your first steps towards a healthier lifestyle. Wearing the Heart /Pulse Rate Montor Watch is like having a personal trainer right on your wrist! Excellent workout companion! Lifestyle monitor you can wear it as a wristwatch all day long! 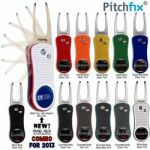 The original Pitchfix® golf tool combining vibrant color, inviting texture and cool utility. Smooth and soft rubberized coating over metal base. Choice of 12 stock color combinations for every logo and event theme. White top, blue bottom with Red trim. Durable spring action metal divot tool opens and closes for compact, safe storage. Includes a magnetized ball marker with custom four color process imprint. Q: My business is moving. How can I make this move easier on my customers? A: What you don’t want to happen is for customers to show up at your old location. It is likely that the customer will be annoyed about wasting time and as a result, not travel to the new location. Fear not, you can minimize this event by purchasing promotional items that remind customers of the new business location. Magnets are one of my favorite items for this use. Give them to anyone that walks in prior to the move and include them in a direct mail piece reminding customers of the new location. 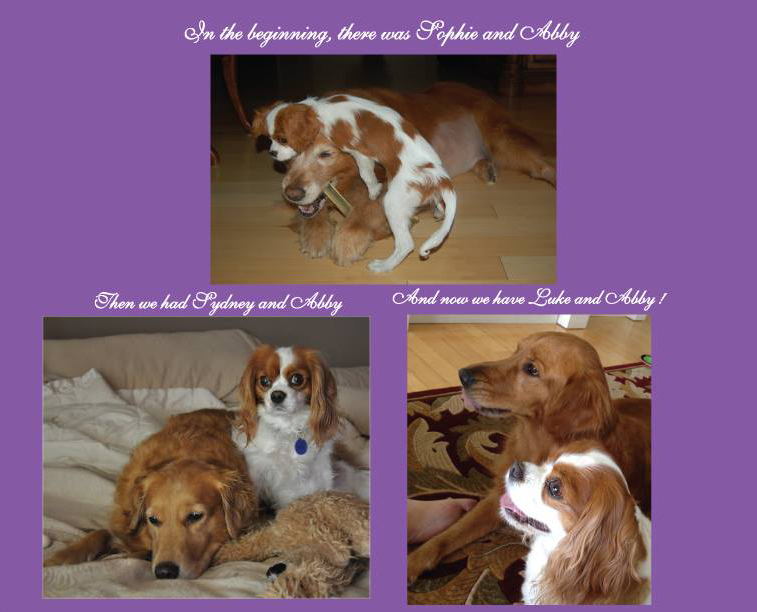 It is March and there is a great deal to celebrate other than winter transitioning to spring. In fact, March holds great opportunities to get out in the community and draw people to your business through themed marketing events. Try these March inspired ideas on for size. Red Cross Awareness – Give back and sponsor a blood drive. Invite area businesses to participate, which will help spread the word. Remember to give everyone that donates blood or time a promotional item to remind them of their contribution and your organization’s community commitment. Pedometers, heart shaped tins and first aid kits are great choices. Some will use me, while others will not, some have remembered, while others have forgot. For profit or gain, I'm used expertly, I can't be picked off the ground or tossed into the sea. Only gained from patience and time, can you unravel my rhyme? Be one of the first five people to answer the riddle to win!